Pin It Good afternoon/evening peoples! 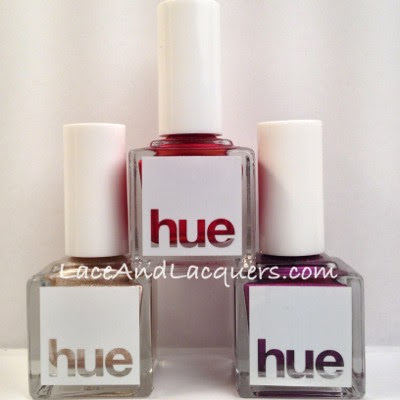 Today I have a look at a new subscription box called SquareHue to review for you! 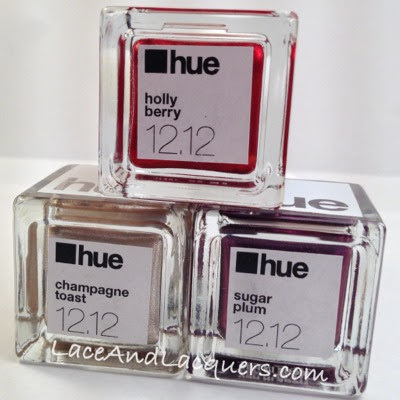 Hue reminds me of a baby Julep when they first opened, pretty polishes but not very well known! 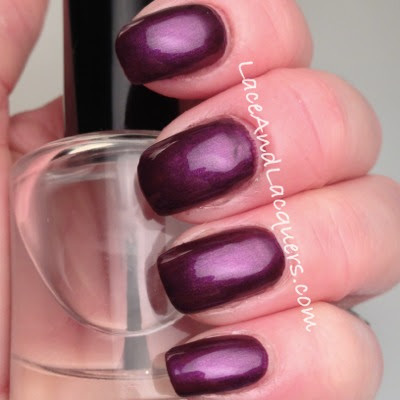 I'm going to take you into my December box (the Santa Luxe Collection) and show you some swatches today. They're having a special on their monthly subscription price so, today is a good day to review! You will find three .50oz full sized bottles of polish (larger than Julep). The shape of SquareHue's bottles (square! haha) remind me of polishes at Urban Outfitters. 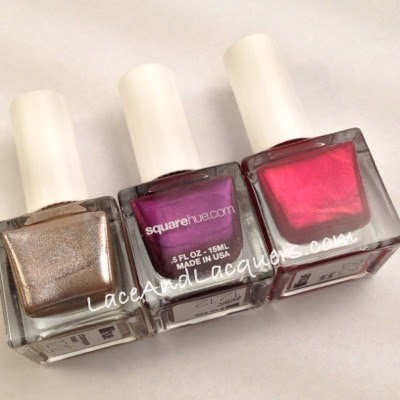 Unlike Julep, there isn't an option to select different polish "packages". You get 3 pre-selected colors. But like Julep, there is no monthly commitment, you can cancel or pause your subscription whenever you feel the need to. 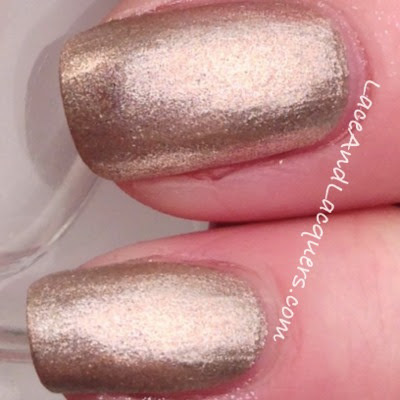 Each bottom is labeled with the name of the polish and the month and year it was released. It seems to me that each monthly box is from a collection. I couldn't find it in the box or on the bottles but I found it here. The December box makes up the Santa Luxe Collection. Another thing I really enjoy about this monthly subscription box is that they give a portion of each sale to "organizations that are deep in the trenches assisting and caring for those hurting and in need". Their current focus is on human trafficking and they are donating to The A21 Campaign (which I suggest you check out). 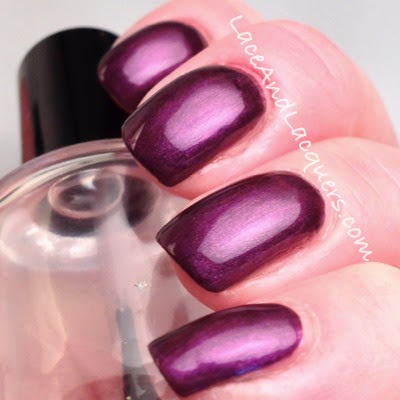 Sugar Plum is a deep plum, purple color with shimmer and a slight red flash to it. 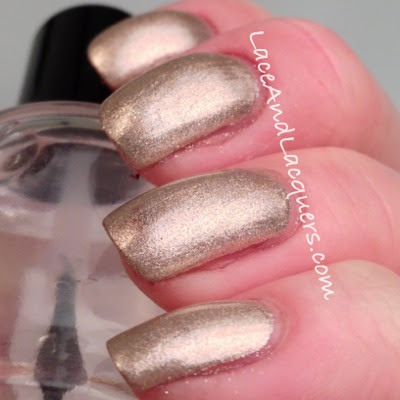 This is my favorite polish out of the trio, it's a very pretty and elegant color! 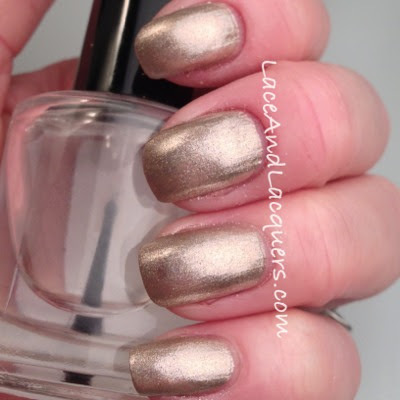 This was 2 coats, top coat, no undies. Again, another impressively smooth formula and great dry time! 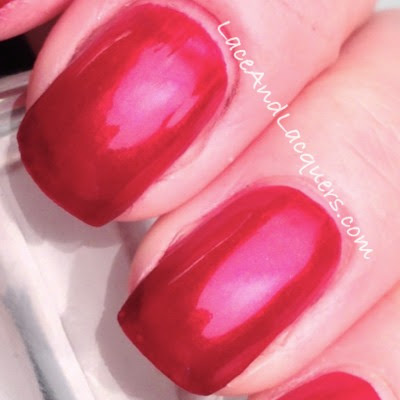 Holly Berry is a classic red color with subtle gold shimmer. 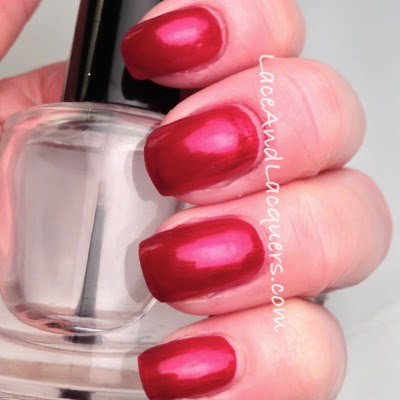 A great holiday color, who doesn't love red for the holidays?! Especially a bright, pretty red. 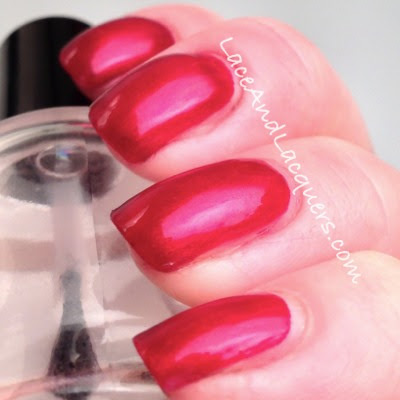 Side note, Holly Berry reminds me a lot of Zoya Elisa. Like the other 2, I had no issues with application or drying time. 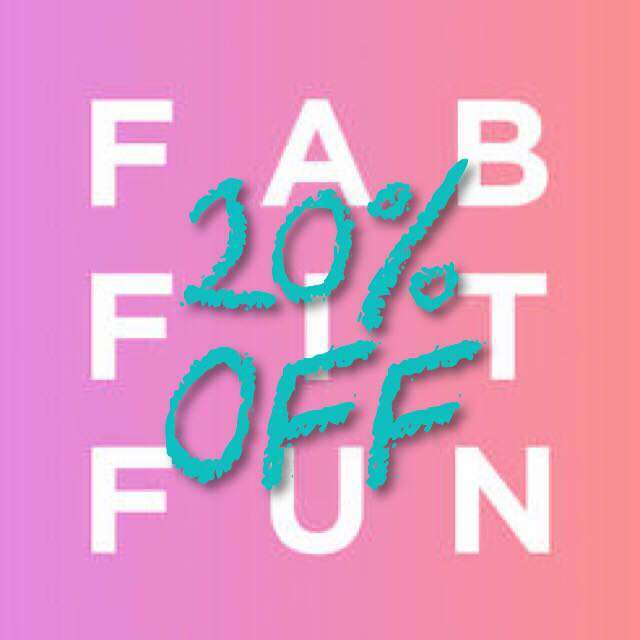 Each month SquareHue costs $21.00/month with free shipping! Butttttt until December 8th you can get it for only $14.99 during their Christmas promo (If you can't decide that fast, don't fret! I'll have a code for you that will last until the 24th :] I'll stick it here!) THE CODE IS: DECBLOGGER01 (case sensitive!) Expires 12/24! I like how Champagne Toast looks! P.S. I love the look of those bottles. Nice, think I might have to check out this service! 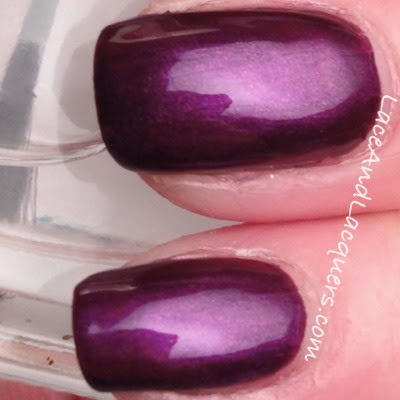 Ooh, Sugar Plum is gorgeous! These look so pretty. I love the bottles. Too bad they don't ship internationally. That looks pretty awesome. I love those square bottles, too. So cute! Can't wait to see what else they send ya.